Home » Forums » Discussion Forums » Microfishing » Western Arkansas ID needed! 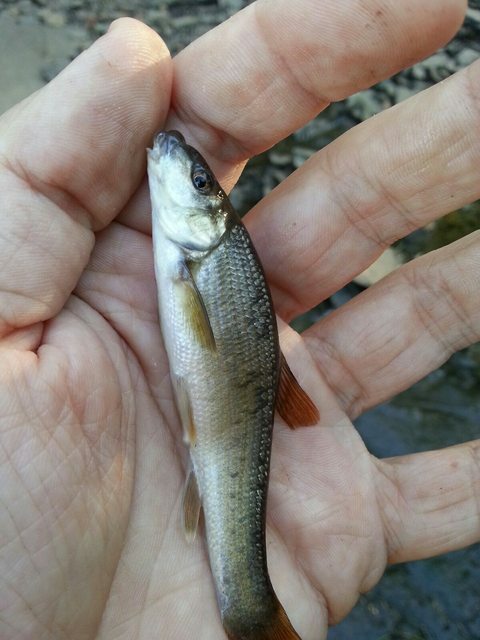 I caught this guy today in a small, clear creek within Fort Smith city limits. This creek flows a into a little larger slough which flows into the Arkansas River a few hundred yards downstream. Thanks in advance if anybody can point me in the right direction! Cancel! It's a Central Stoneroller. I thought it might be a Stoneroller at first, but was steered away from it initially.